After spending the last few months of 2018 redesigning our website, we have now finished creating our “new look” for KidCareCanada. This new website is mobile friendly and easy to navigate. It’s easier to search in our great collection of videos and other resources to find exactly what you are looking for! We would love to know what you think. We want to give special thanks to Sam Smyth at Caorda and to our own Ruthild Ohl, as well as the rest of the team! 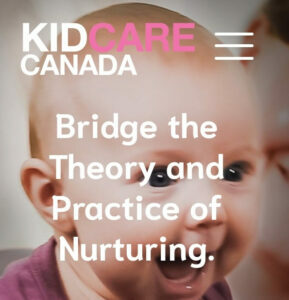 Please spread the word and share our link – https://kidcarecanada.org/ – with all the people you know who want to raise children to be socially and emotionally healthy.